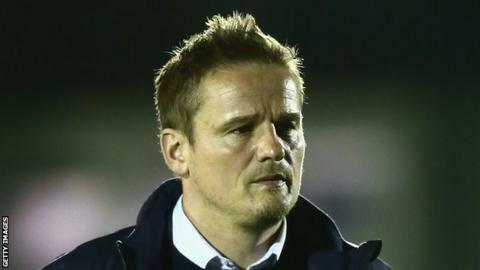 AFC Wimbledon boss Neal Ardley says his five years at the club would "go out of the window" if the club are relegated. Ardley is the fifth longest-serving manager in the Football League, having been with the club since October 2012. But with Wimbledon 21st in League One, Ardley is focused on the task at hand and did not mark his job anniversary. "I'm very proud of what's happened over the last five years, but you can't look backwards," the 45-year-old told BBC Radio London. "You've got to keep looking forward. I'd be mortified if I didn't do what I need to this season and keep the club moving forward and keep the club's League One status. "That's really important to me and it would all go out of the window a little bit if I don't manage to achieve that. "We're going to need some support, positivity and a little bit of luck along the way - which I don't think we've had yet - but if we can put it all together we can do it." Saturday's 1-0 win over Northampton was Wimbledon's first in five league games and moved them onto 12 points from 13 matches following their promotion via the League Two play-offs.